Electricity prices have been skyrocketing in New South Wales, but many people in Sydney and across the state have made a wise choice by turning to solar panels to burn a hole in their power bill. As well as in Sydney, people taking part in the solar power NSW revolution live in places such as the South Coast, Wollongong, Newcastle, the North Coast, New England, the Northern Tablelands, the Southern Tablelands, the Riverina and the West of the state. Through the Renewable Energy Target scheme (RET), the Federal Government subsidises the cost of solar power systems. Energy Matters incorporates the Solar Credits value by providing a discount at the point of sale. The amount of discount is based on the output of the system you purchase. However, the future of this subsidy is now uncertain due to the review of the RET. So, make the switch to solar now and lock in the current generous incentive level. You will generally receive up to 12c per kWh for any surplus electricity you generate that feeds back into the grid. The amount varies between electricity retailers. An investment in a solar power system can provide better returns than many other investments; for example, a system installed in Sydney has an estimated average internal rate of return of 18.9% according to Energy Matters’ Australian Solar Index. Between June 2007 and June 2012; households in Sydney were hit with a 79% increase in the price of power and the story was similar elsewhere in the state. Since then, a further 11.8% – 20.6% increase occurred up to July 2013; and households will need to dig a little deeper during the 2013/14 financial year as well. New South Wales has Australia’s highest daytime electricity prices. Couple this with Energy Matters’ low prices on world-leading brands and NOW is the best time to install solar and reap the benefits of a substantially reduced electricity bill. Did you know the day rate for electricity in NSW is above 35 cents per KWh, which means installing a solar power system can make a sizable difference to your bill. In fact, a 5kW system on a north facing roof could save you more than $2,500 per year*. 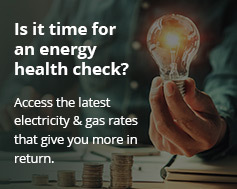 Check out Energy Matters’ latest range of system specials or try our no-obligation solar quote tool to instantly calculate the system that will best suit your needs. Energy Matters New South Wales has a long and proud history of installing solar panels in Sydney and throughout the state. That is a history that has seen many competitors fall by the wayside. Our thorough understanding of government policy and rebates ensures we only offer systems that best suit your needs under the current legislation. Furthermore, the industry benchmark solar panel mounting system, SunLock, is designed by Energy Matters and manufactured right here in Australia to handle the toughest weather conditions NSW can deliver. All other system components such as panels and inverters are sourced from the world’s most reputable suppliers. And when it comes to the people we choose to work with, all installers of Energy Matters’ systems are Clean Energy Council accredited. Plus they’re all locally based. On top of this, Energy Matters performs its own additional quality checks and accreditation. The result of this is to ensure our installers meet our very high quality standards. Contact our NSW team to discuss your options by getting a free solar quote now. *Calculation is based electricity bill savings range based on 38c per kWh electricity price and an 08c feed in tariff with 100% consumption of produced electricity.